Tomorrow night, Streetsblog Los Angeles will be holding its first fundraiser or 2014 and honoring the service of Paul Backsstrom, the transportation deputy to City Council Transportation Chair Mike Bonin and his predecessor Bill Rosendahl. The details of the event, which will be held in the Brentwood home of Joel Epstein, can be found after the jump. You can RSVP on Facebook or EventBrite. While the event is a fundraiser, we don’t turn people away if they can’t/don’t want to pay the suggested donation. Event’s at Joel’s are always fun. The crowd is usually around thirty people giving everyone a chance to talk to the people that make Streetsblog (and Santa Monica Next) happen. This year’s RSVP list includes some of the leadership from So.CA.TA., a handful of members of the city’s Bicycle Advisory Committee, a staffer from the California Bike Coalition, in addition to Backstrom, Councilmember Bonin and his staff. There’s still plenty of time to RSVP, right up until 5:45 pm tomorrow. Joel’s address will be provided with the RSVP. 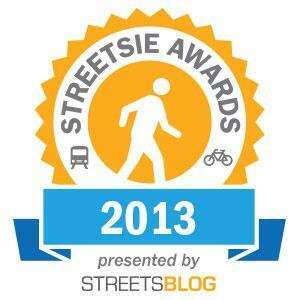 Suggested donation $100, proceeds will benefit Streetsblog Los Angeles. As always, nobody is turned away if that donation level doesn’t work in their budget.